Saved seller over $25,000 in commissioins. 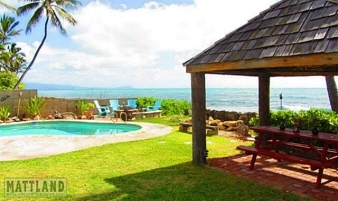 Pupu Street Is Considered One Of The Best Ocean Front Locations On The Leeward Coast. Owning This Home Is Like Being On Fantasy Island Where Every Day Is A Sunset With An Ocean Breeze. The Tide Pools Are Your Back Yard. Launching A Kayak Or Throwing Out A Fishing Line Are Literally Just Steps Away. This Is A Gathering Place That Will Create Memories For Generations Of Family Members And Friends.